Reseller hosting is an effective way to launch your own web hosting business whilst using the infrastructure and support of an already established business. If you are a web designer, you can also provide your customers with hosting solutions as part of your development. RSHosting provides the best reseller hosting platform for our customers with access to fully preconfigured and ready-to-go Cloud servers running on high speed SSD drives, optimised to deliver web content quickly and effectively. All of our reseller plans include hosting that is reliable (with 99.9% uptime) and secure. In order to build your brand, we offer a “white label” service, meaning you can use your own brand name. Our customer support service is fully available by email, Skype, and online chat, and is also fully white label – that’s right, we’ll support your customers for you! By eliminating the need to invest in your own infrastructure, hardware, software, and staff, you can get on with the business of promoting the services available, and we’ll do everything behind the scenes. Your customers won’t know you are a reseller, giving you the appearance of being an established player in the market. We offer a choice of server location, so if you require UK reseller hosting specifically, we can accommodate that with our UK based servers. Our servers are also based in the US datacenter, so the choice is yours! Our reseller hosting servers are powered by the very secure CloudLinux, along with the LiteSpeed web server that delivers content at the maximum possible speed – up to 40 times the speed of Apache – a traditional web server that is used by many other hosting providers. Our reseller accounts include an easy to use customer management control panel, allowing you to control every aspect of the hosting provided to each individual client, along with free WHMCS billing system. We also offer dedicated IP addresses, a domain name reseller account – free ENOM reseller account, and allow your customers access to features such as our free website builder and SSL certificates. Our hosting packages come with the Cloudflare CDN and free RAILGUN, allowing your customers websites even greater and optimised speed. As well as supporting your customers, we are also here to support you. Should you encounter any issue with your reseller hosting package, we’ll do out best to help you and fix it as soon as possible. Your success increases our success, and we want to offer you the best reseller hosting that we can. Why become a RShosting reseller? What are your reseller server configurations and specifications? 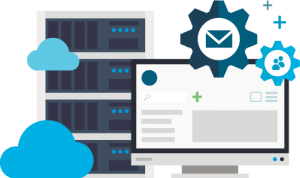 RShosting offers reseller hosting on Cloud clustered servers, giving an immense performance and uptime advantage over traditional dedicated servers. We have our own private cloud servers with SSD storage configured in RAID10. This allows us to offer guaranteed 99.9% uptime with high speed website loading time. 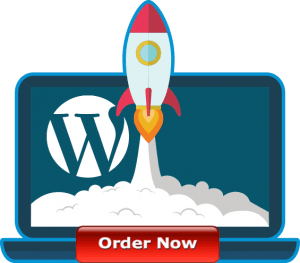 Do you offer white label reseller hosting services? We offer 100% private labelled, also known as white labelled reseller hosting services, where you can register your own private nameservers, customise your control panel with your company branding etc. Do you offer free WHMCS billing system? We offer Free WHMCS billing system (Starter Edition – that allows you to have 250 active customers) with our highest plan Reseller Plan 3. We accept all major credit cards / debit cards and Paypal. We do not accept payments via bank transfers, cash or bank cheque, cryptocurrency such as bitcoin etc as of now. How much resources are allocated to my end user customer account? We offer FREE Offsite backups with 2 daily and 1 weekly retention. The free backups services that we offer are complimentary services and we strongly recommend our customers to maintain their own copy of backups at any given time. You as a customer have access to generate your website backups from your control panel and download them at your location. We also offer paid managed backups which give you a choice of choosing your offsite backup retention. RSHosting is a pioneer in offering reliable and secure reseller hosting services, on Cloud SSD servers located in UK and US datacenters. 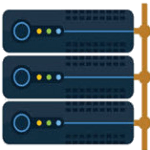 We have high configuration, premium grade, Dell servers powered with Xeon processors, co-located in state-of-art datacenters of UK and USA, delivering fast web hosting experience to our resellers, and their end user customers. Join hands with us and start your own web hosting business in less than 10 minutes! RShosting offers 100% white-labelled reseller hosting services, where you can promote your own company brand to your customers. With the help of our free private labelled nameservers, your customers will never know that you are our reseller. They will be assuming you as the parent web hosting company, thus giving you an exceptional benefit of hosting your customer accounts on enterprise grade SSD Cloud servers, without wanting to invest in infrastructure. Exceptional quality of technical support from highly skilled professionals, has been a key-point for RSHosting’s success as the best hosting company over the years. RShosting proudly offers the same support to your end user customers, under your company brand name and identity, allowing you to focus on growing your business to next level. RSHosting uses the most popular, user friendly control panel; WHM cPanel for offering reseller hosting services. As a reseller you will have access to WHM control panel, from where you can create your customer accounts, delete them etc. Your customer will get access to cPanel from where they will be able to manage their web hosting with features such as FTP, creating email accounts, databases, access to one-click app for 400+ scripts such as WordPress, Joomla etc. Feel free to try your hands on WHM reseller control panel and cPanel control panel with the help of demo links below.